A solar dog house for Annie by Corona Designs. This organically designed house features three main resting areas where Annie can recharge from her active terrier lifestyle: an enclosed area, a shaded area for summer and a rooftop area for winter sunbathing. 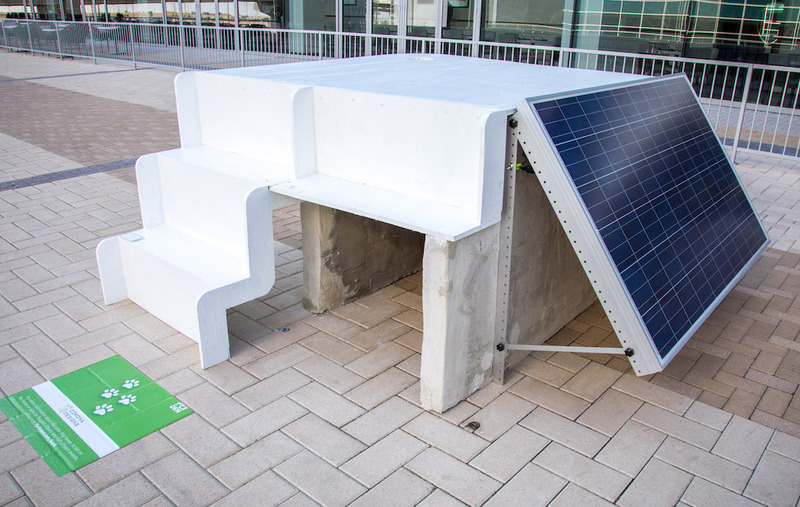 The solar panel, which will power Annie’s nightlight, is positioned to favor the solar angle of winter months when there are fewer hours of daylight. A funnel provides structural support and also collects rainwater for Annie to drink and snow for her to snack on. 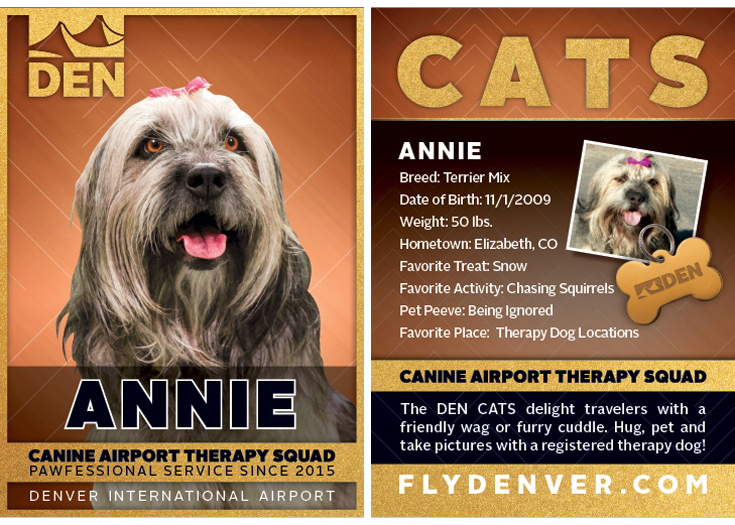 DEN Canine Airport Therapy Squad dog, Annie, a terrier mix partial to snacking on snow and chasing squirrels. “Bowhaus 57” was designed to emulate the Colorado mountains to support Annie’s terrier tendencies toward climbing and burrowing.